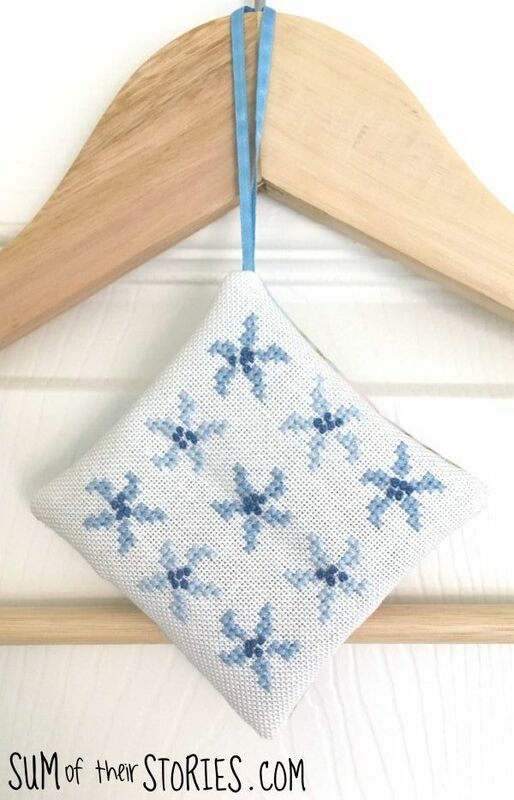 Make a pretty lavender bag with a blue floral cross stitch design. 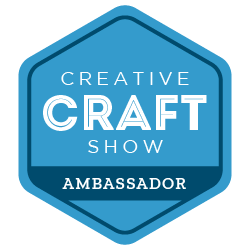 I came across this little bit of cross stitch in the bottom of my sewing box and decided to do something with it at long last. I thought it would make a pretty lavender bag. This is another of my ‘I can share it now Christmas has passed’ projects! I used a 28 count evenweave fabric and my cross stitch design ended up approx 3” square. 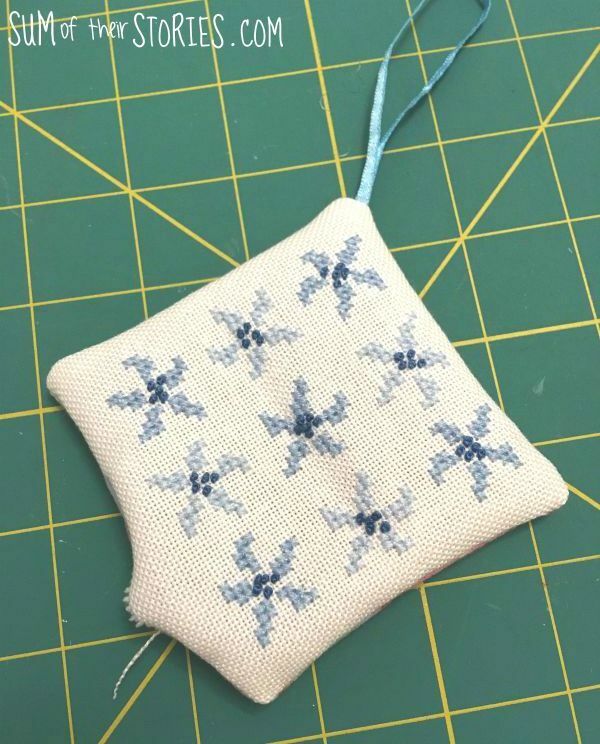 First you need to work the design in cross stitch on the cross stitch fabric. Start in the centre of the fabric, with the centre of the design. 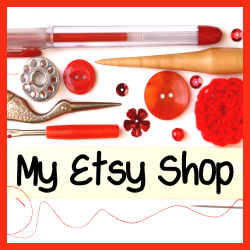 Use 2 strands of embroidery thread throughout. Work french knots for the flower centres. You can download a PDF version of the chart here. Once the cross stitch is finished press it lightly with the iron on the wrong side. I like to place my embroidered pieces on top of a folded towel when I press them, it helps to protect the stitches. Now it’s time to turn the embroidery into a lavender bag. Place the 2 squares right sides together, with the ribbon folded in half placed inside one corner. You want the folded part of the ribbon in and the end of the ribbon sticking out. Stitch around the square, leaving a 2” gap. Turn right side out through the gap, poke the corners out with a chopstick or wrong end of a pencil. Don’t poke too hard! 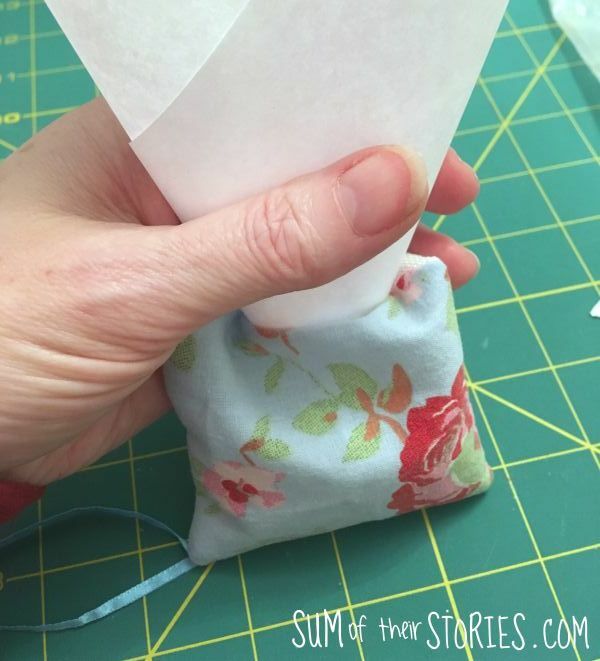 Roll a paper funnel to add the lavender to the bag. I filled the bag until about 1/2 full but you can fill it more or less as you prefer. Close up the gap with ladder or slip stitch. And there you have it, a pretty lavender bag to hang in your wardrobe or on a hook or handle somewhere. 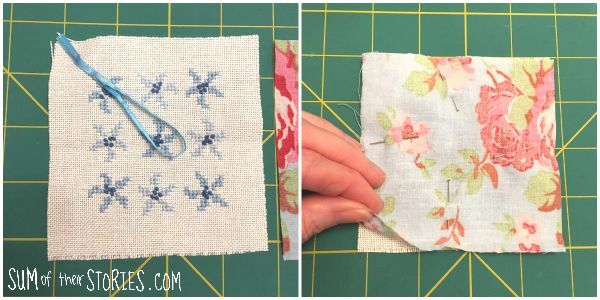 Of course you don’t have to work the embroidery in blue threads, this would be a great way to use up little short left over pieces of thread from other projects as each flower doesn’t take much. It would look really pretty in rainbow colours wouldn’t it?